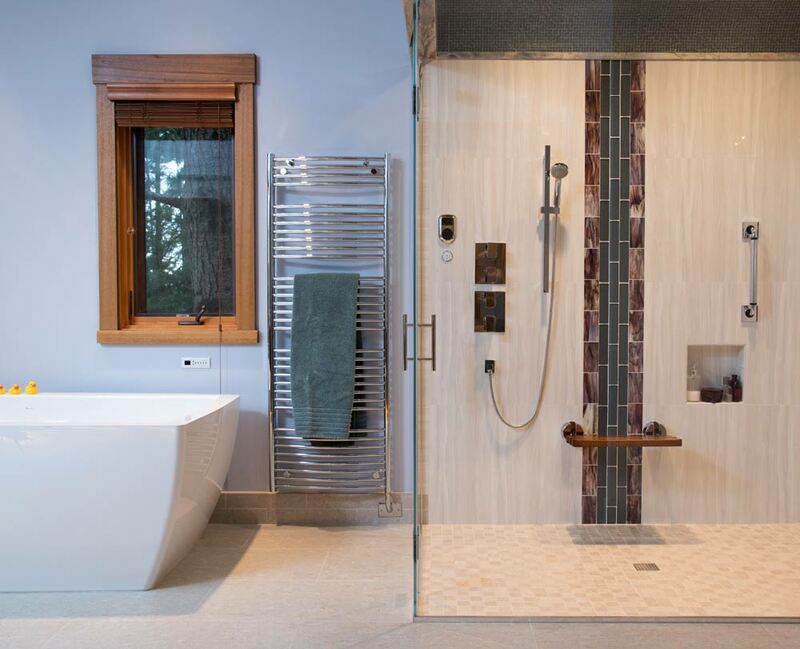 The objectives of this remodel were to improve the accessibility, storage, flow, lighting and ventilation and create a spa-like retreat while minimizing the maintenance requirements for this 225 sq. 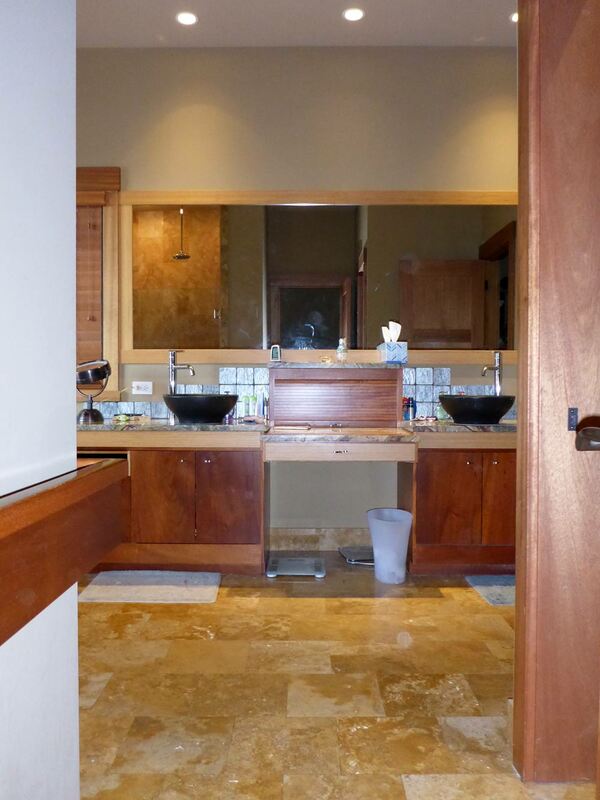 ft. master bathroom. 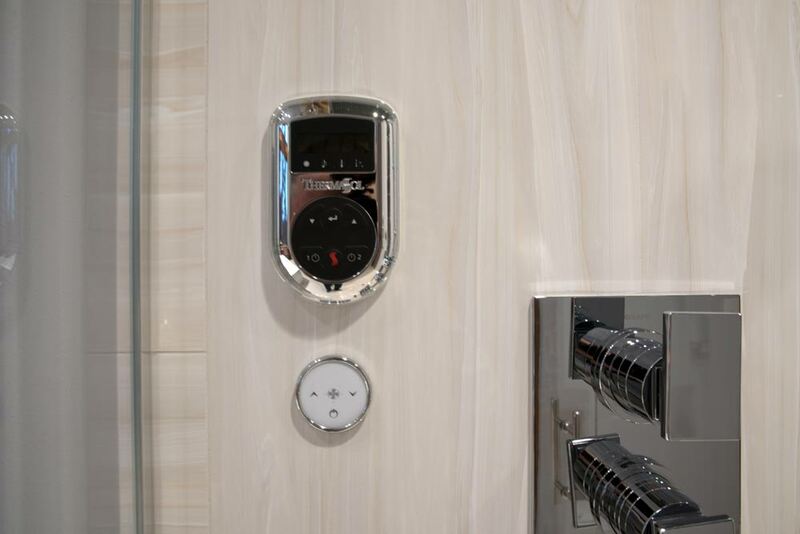 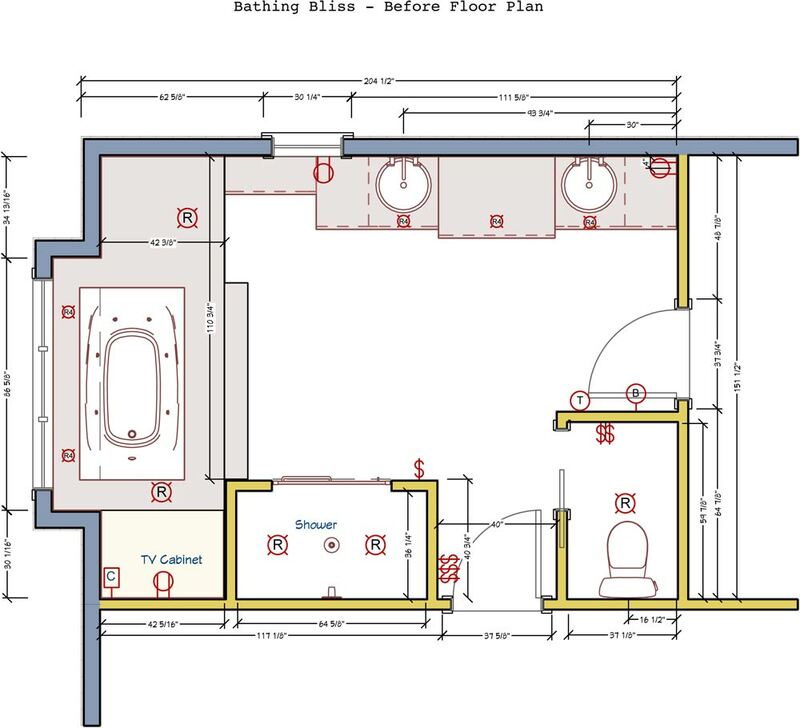 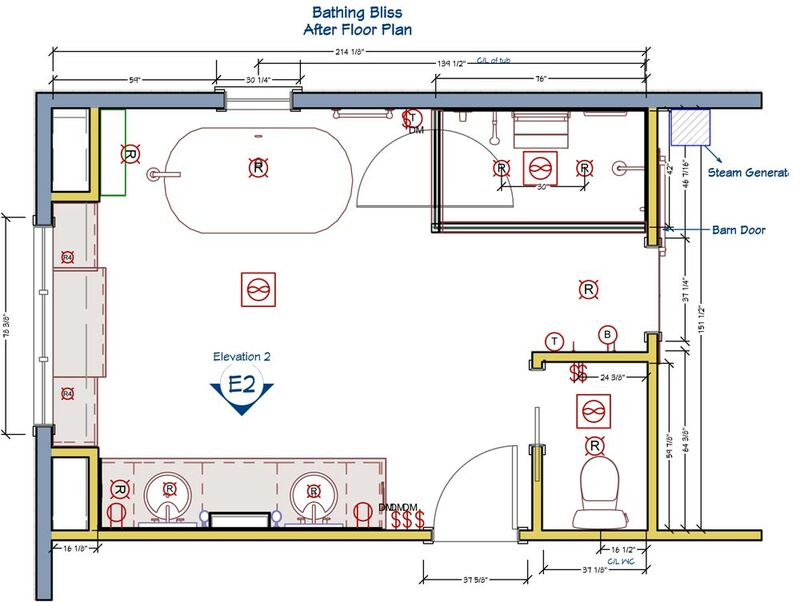 A zero-threshold steam shower with Universal Design features ensure accessible bathing for the long-term. 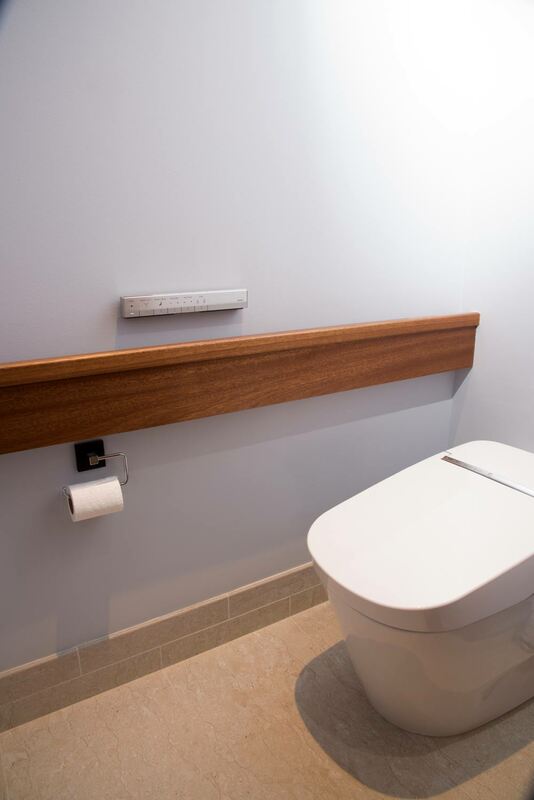 A Toto, 'all inclusive' toilet provides comfort and paper/hands free toileting with dignity. 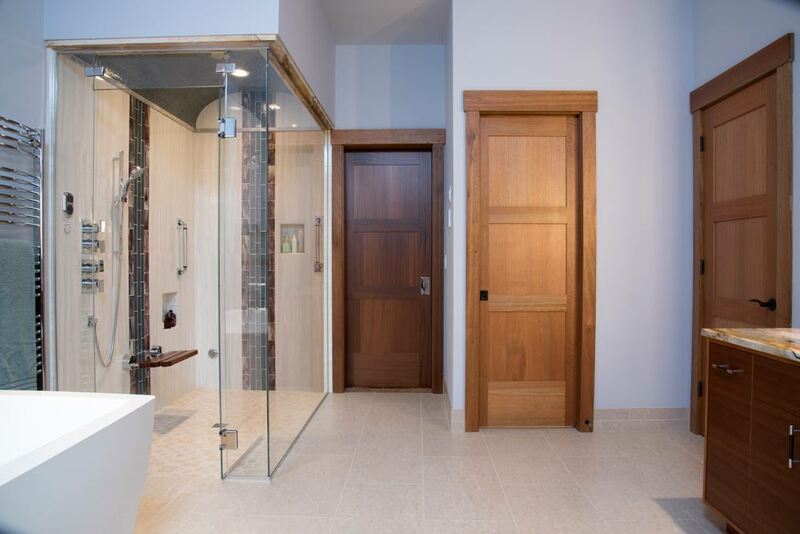 Replacing the hinged closet door with a barn door provides the desired space for the shower and unobscured access to lighting/heating controls. 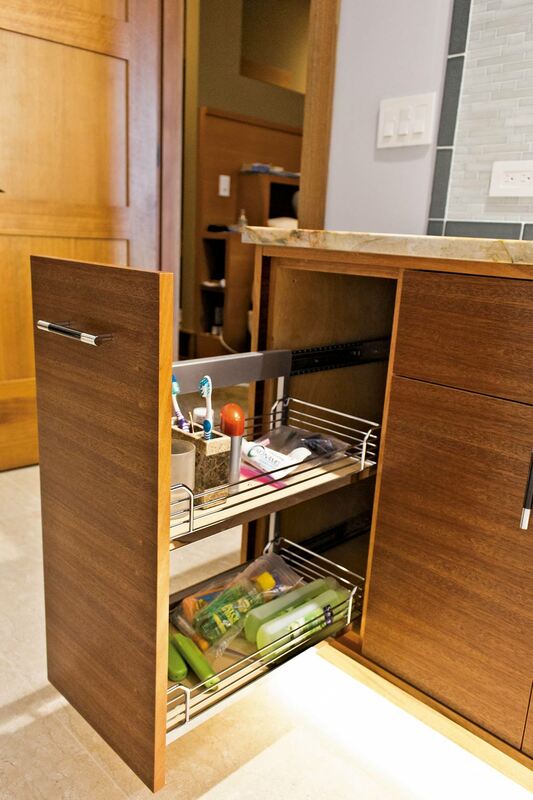 The new vanity with lots of storage (wall cabinet has receptacles inside) ensures that countertops stay uncluttered. 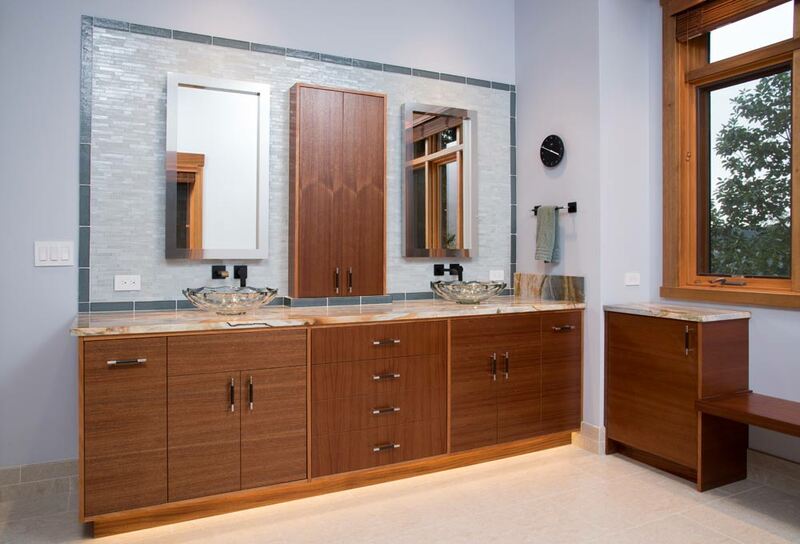 The mirrors with built-in lights provide optimal illumination for grooming. 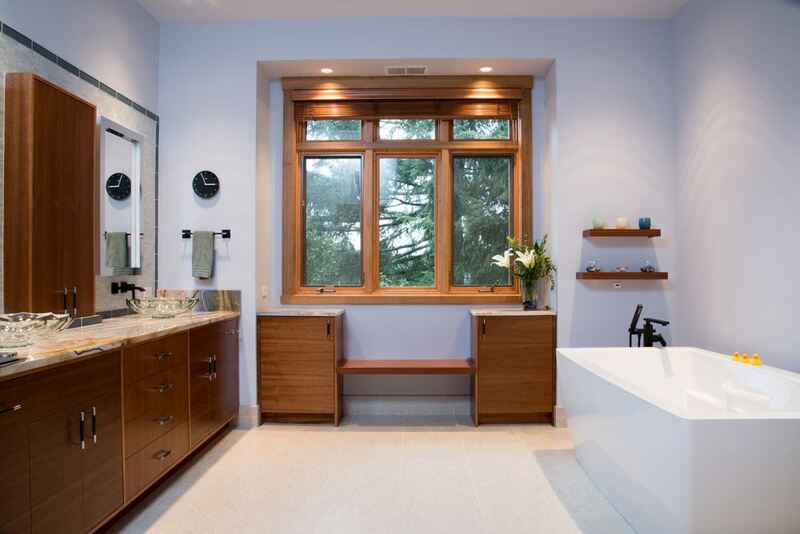 The storage cabinets with built-in bench provide storage, counter for flowers/decorative items, access to the windows/blinds and a romantic perch for reading to a beloved bather. 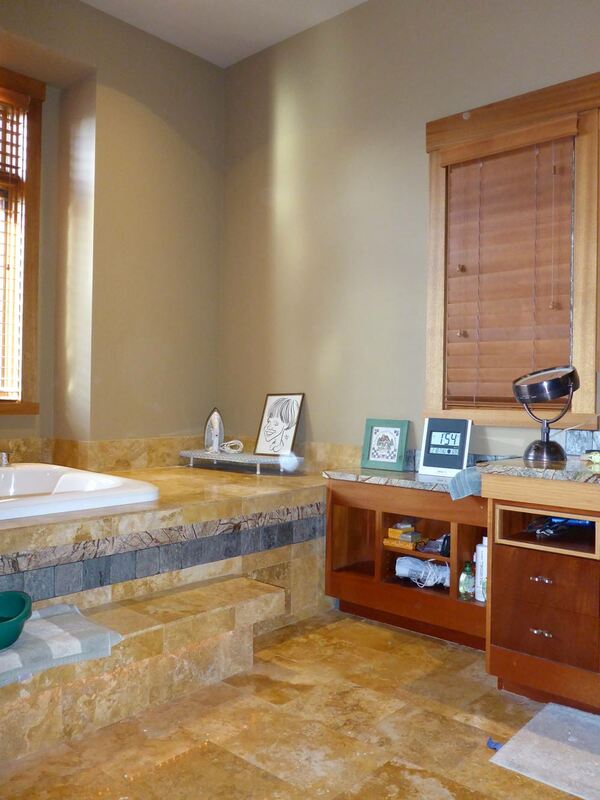 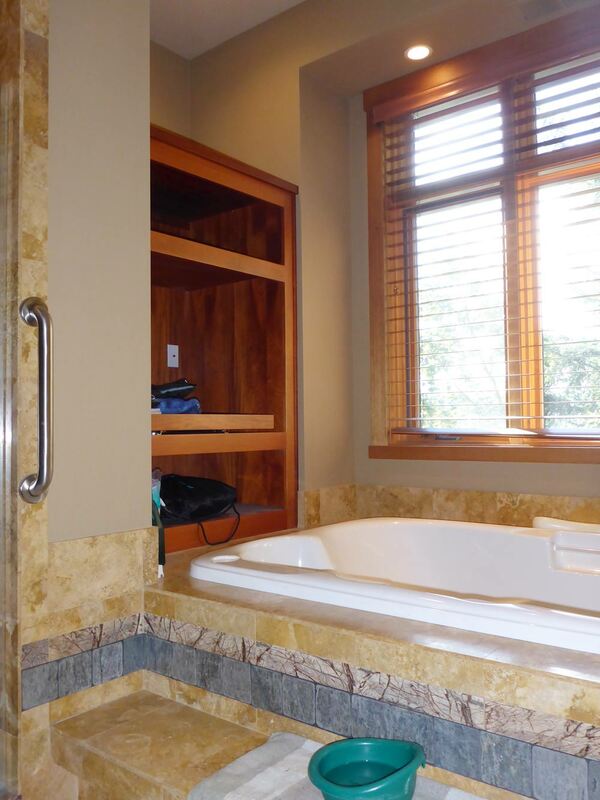 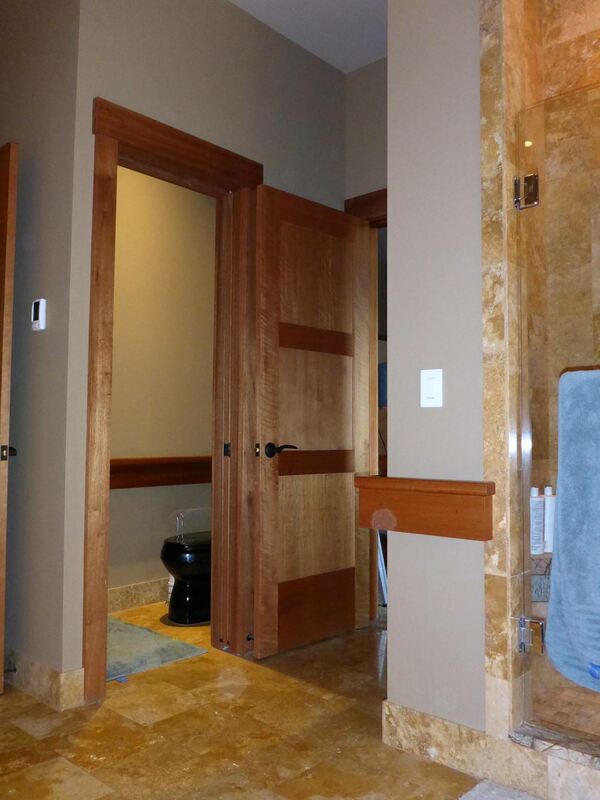 The heated towel bar was strategically placed to be accessible from both the shower and the tub. 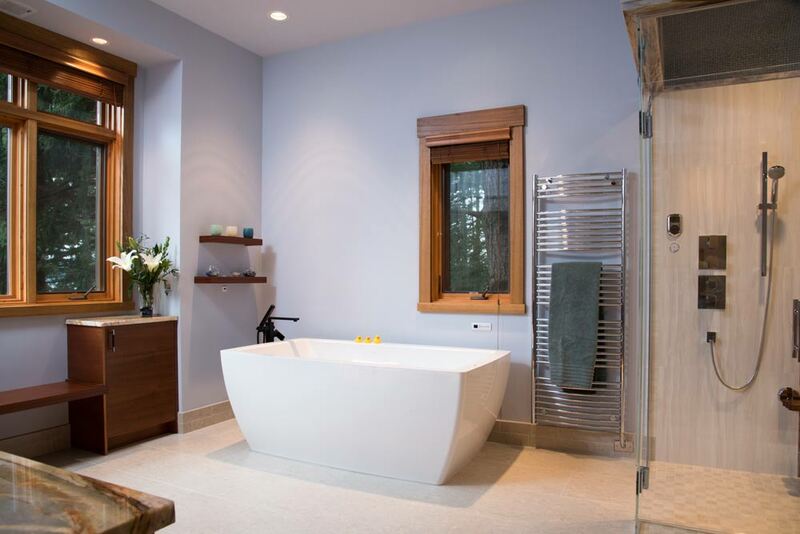 The tub has multiple amenities for ultimate relaxation. 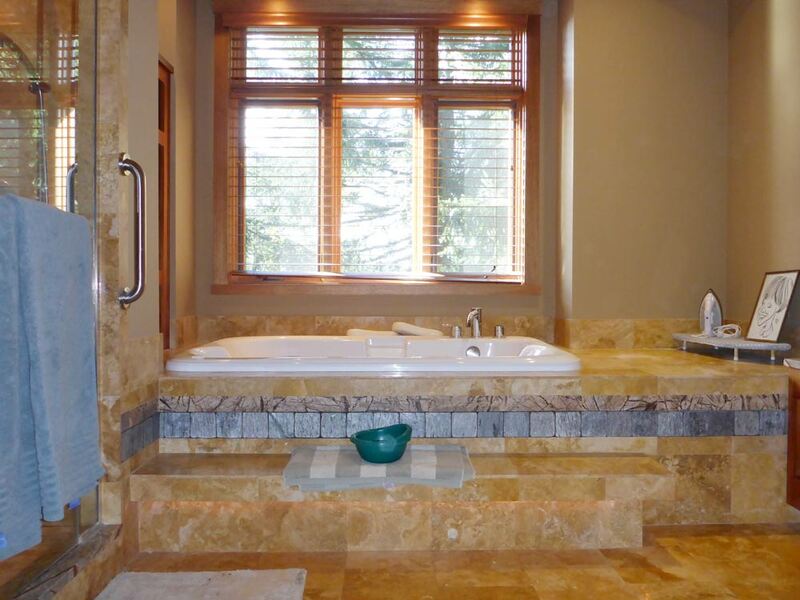 Porcelain and ceramic tiles and polished quartzite counters replaced high maintenance tumbled travertine tiles and marble countertops. 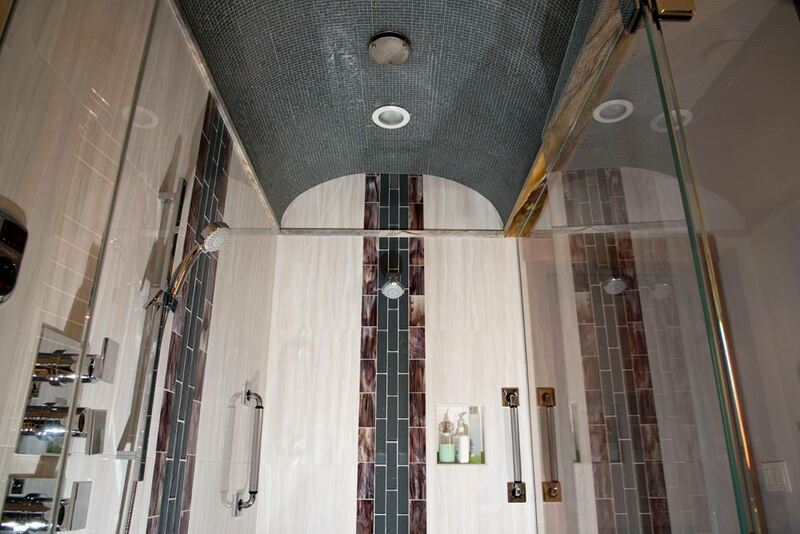 The shower wand on the roman tub filler and the hand-held shower in the shower make cleaning these areas a breeze. 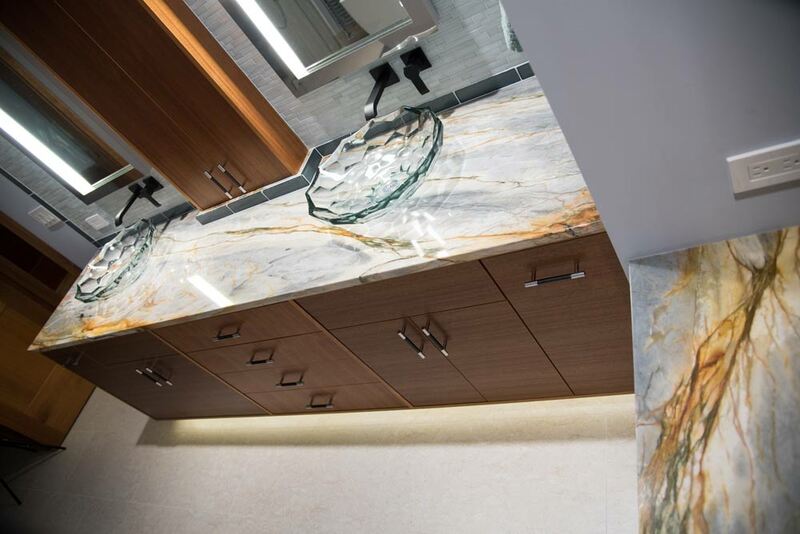 Utilizing larger can lights in more strategic locations along with a vanity toe kick light ensures that there is the right lighting for every task/mood.